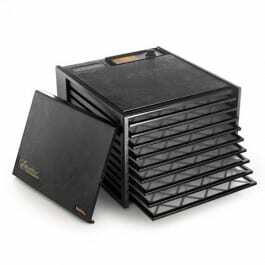 This page is a listing of the dehydrating resources I find most useful when I dry foods for storage. Click the text or picture for the link. Some of these are affiliate links, which means if you purchase resources by clicking the links on this page I will receive a small fee. It does not change your price in any way and it allows me to make a little money to help cover the costs associated with running the site. I very much appreciate you using my links! To see my full disclosure click here.